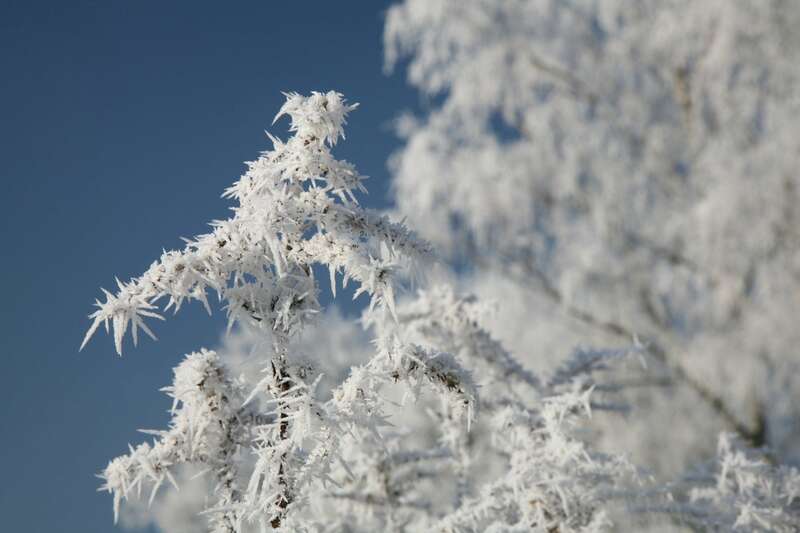 Frost is the solid deposition of water vapor from humid air. It is formed when the temperature of a solid surface is below the freezing point of water and also below the frost point. The size of frost crystals varies depending on the time they have been building up and the amount of water vapour available. Frost crystals are translucent, but scatter light in many directions, so that a coating of frost appears white. There are many types of frost, such as radiation and window frost.